I would like to read the Pharoah’s Curse by Clive Cussler the latest exciting adventure story in the NUMA files series of novels, which has recently been released in paperback. It starts after a deadly poison is released On the remote Mediterranean island of Lampedusa when a mysterious ship runs aground, explodes and releases a poisonous black mist. The island’s inhabitants all fall dead where they stand, however someone manages to send a distress call before succumbing. Meanwhile ocean Archeologist and explorer Kurt Austin and the NUMA team are diving for antiquities when they pick up the call. As the only vessel for hundreds of miles, they attempt a rescue mission to rescue the survivors. So Kurt and the NUMA team investigate to find out who might be responsible and Kurt idiscovers a ruthless powerbroker who will stop at nothing, who has discovered an ancient elixir buried deep beneath the Saharan desert in the City of the Dead. The elixir is made from a poisonous plant extract known as Black Mist and is so powerful that it is rumoured to take life from the living and restore it to the dead. He belongs to a mysterious organisation who are scheming to build a new Egyptian empire as glorious as those of the Pharaohs and are using the knowledge and power of the Ancient Egyptians to destabilize northern Africa. Part of their plan rests on the manipulation of a newly discovered aquifer beneath the Sahara. So With the balance of power in Africa and Europe on the verge of tipping, Kurt, Joe, and the rest of the NUMA team have to fight to discover the truth behind the legends—but to do that, they have to confront in person the greatest legend of them all: Osiris, the ruler of the Egyptian underworld and If Kurt doesn’t find out how to stop them, millions of innocent people will die a horrifying death. British naturalist ornithologist, conservationist, painter, naval officer sportsman. and explorer Sir Peter Scott CH, CBE, DSC and Bar, MID, FRS, FZS was born in London 14th September 1909 , The only child of Antarctic explorer Robert Falcon Scott and sculptor Kathleen Bruce and was only two years old when his father died. Robert Scott, in a last letter to his wife, advised her to “make the boy interested in natural history if you can; it is better than games.” and his godfather was J. M. Barrie, creator of Peter Pan.He was educated at Oundle School and Trinity College, Cambridge, initially reading Natural Sciences but graduating in the History of Art in 1931.Like his mother, he displayed a strong artistic talent and had his first exhibition in London in 1933. His wealthy background allowed him to follow his interests in art, wildlife and many sports, including sailing and ice skating. He represented Great Britain and Northern Ireland at sailing in the 1936 Berlin Olympic Games, winning a bronze medal in the O-Jolle class dinghy. During his life he won many awards, In 1943, he was awarded the Distinguished Service Cross (DSC) “for skill and gallantry in action with enemy light forces”, and was appointed Member of the Order of the British Empire (MBE) in the 1942 King’s Birthday Honours. He was promoted to Commander of the Order of the British Empire (CBE) in the 1953 Coronation Honours. In the 1987 Queen’s Birthday Honours, he was appointed to the Order of the Companions of Honour (CH) “for services to conservation”.He was knighted by Queen Elizabeth II at Buckingham Palace in 1973 for his contribution to the conservation of wild animals. He had been a founder of the World Wildlife Fund, a founder of several wetlands bird sanctuaries in Britain, and an influence on international conservation. He received the WWF Gold Medal and the J. Paul Getty Prize for his work. Scott Sadly passed away on 29 August 1989, but to this day, he along with Sir David Attenborough inspired me, to take a great interest in nature and wildlife, which, I still find absolutely fascinating. The Late Great Amy Winehouse was born 14th September 1983 in London. She joined the Brit School and by 16 her otherworldly soul voice – deep, full and knowing but light and fresh and fragile at the same time – had won her a contract with Simon Fuller’s management company, which led to her being signed by Island Records. In 2003, she released her first album – The jazz-influenced album entitled ‘Frank’,- it garnered much critical acclaim earning an Ivor Novello songwriting award, two Brit nominations and a spot on the shortlist for the Mercury Music Prize. It was also around this time that Amy met Blake Fielder-Civil and began an infamously tempestuous on-off relationship with him, involving drug and drink binges.By 2006, after three years with Blake, rapid weight loss, an ever-expanding beehive hairdo and documented drug and drink problems, Winehouse released Back to Black, her breakthrough album, which made her a huge star across the world, fusing soul, jazz, doo-wop, it went on to win five Grammy awards, including song and record of the year for Rehab. Even back then, Winehouse’s performances were sometimes shambolic, and she admitted to being ‘a terrible drunk., her personal life Increasingly began to overshadow her career. She also acknowledged struggling with eating disorders and said that she had been diagnosed as manic depressive but refused to take medication. Soon accounts of her erratic behavior, canceled concerts and drink and drug-fueled nights began to appear forcing Winehouse’s managers to go to increasingly desperate lengths to keep the wayward star on the straight and narrow. They soon changed the spelling of their name to “Lynyrd Skynyrd”and their fan base continued to grow rapidly throughout 1973, largely due to their opening slot on The Who’s Quadrophenia tour in the United States. Their 1974 follow-up, Second Helping, was the band’s breakthrough hit, and featured their most popular single, “Sweet Home Alabama” helping them rise to worldwide recognition. 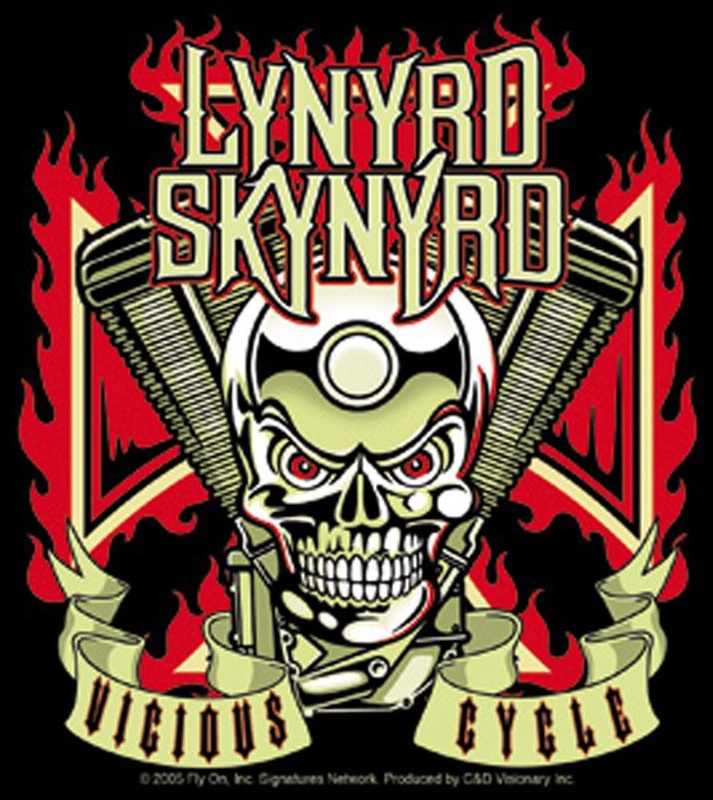 Lynyrd Skynyrd’s third album, Nuthin’ Fancy, was released in 1975 and the fourth album Gimme Back My Bullets was released in January 1976, but did not achieve the same success as the previous two albums. Steve Gaines joined the band in June 1976 and the newly-reconstituted band recorded the double-live album One More From the Road at the Fox Theatre (Atlanta, Georgia) in Atlanta, and performed at the Knebworth festival, which also featured The Rolling Stones. The next album 1977′s Street Survivors turned out to be a showcase for guitarist/vocalist Steve Gaines and included the iconic rock anthem “Free Bird”.Sadly though, On October 20, 1977, just three days after the release of Street Survivors, and at the peak of their success, three members (Including Gaines) all died in an airplane crash, Following the crash and the ensuing press, Street Survivors became the band’s second platinum album and reached No. 5 on the U.S. album chart. The single “What’s Your Name” reached No. 13 on the single airplay charts in January 1978. Surviving members re-formed in 1987 for a reunion tour with lead singer Ronnie Van Zant’s younger brother Johnny as frontman. A version of the band continues to tour and record, with only Gary Rossington of its original members remaining as of 2012. Lynyrd Skynyrd was inducted into the Rock and Roll Hall of Fame on March 13, 2003. In 1986, members of Los Lobos appeared alongside Tomata du Plenty in the punk rock musical Population: 1. In 1987, they released a second album entitled By the Light of the Moon. In the same year, they recorded some Ritchie Valens covers for the soundtrack to the film La Bamba, including the title track which became a number one single for the band. In 1988 they followed with another album, titledLa Pistola y El Corazón featuring original and traditional Mexican songs.In the late 1980s and early 1990s the band toured extensively throughout the world, opening for such acts as Bob Dylan, U2 and theGrateful Dead.Los Lobos returned with The Neighborhood in 1990, and the more experimental Kiko (produced by Mitchell Froom) in 1992. In 1991, the band contributed a lively cover of “Bertha”, a song which they often performed live, to the Grateful Dead tribute/rain forest benefit albumDeadicated. In 1994 they also contributed a track, “Down Where the Drunkards Roll”, to the Richard Thompson tribute album Beat the Retreat. In 1993, they performed “Feliz Navidad” on the film Sesame Street Stays Up Late!.On the band’s twenty-year anniversary they released a two-CD collection of singles, out-takes, live recordings and hits entitled Just Another Band from East L.A.In 1995, Los Lobos released the prestigious and bestselling record Papa’s Dream on Music for Little People Records along with veteran guitarist and singer Lalo Guerrero. The band also scored the film Desperado. The album track “Mariachi Suite” won a Grammy Award for Best Pop Instrumental Performance, and stands as their last Grammy Award to date (the other two Grammy Awards were in the category of Best Mexican-American Performance in 1983 and 1989 for the song Anselma and the album La Pistola y El Corazon).In 1996, they released Colossal Head. In spite of the fact that the album was critically acclaimed, Warner Brothers decided to drop the band from their roster. Los Lobos spent the next few years on side projects. The band contributed along with Money Mark to the AIDSbenefit album Silencio=Muerte: Red Hot + Latin produced by the Red Hot Organization performing “Pepe and Irene.